After growing up in the Dandenongs and Mornington Peninsula Emma moved to Queensland and graduated from the University of Queensland in 1998 with first class honours. After this, two years were spent in veterinary practice at Pakenham, VIC. before moving to the Central Highlands. 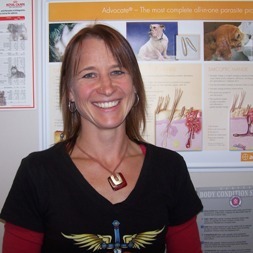 Emma has enjoyed working at other veterinary practices (Macedon Ranges Vet Clinic, Greg McIntyre's Surgery and Vets All Natural) before making the move to owning the Hepburn Vet Clinic. She loves the diversity and variety of country work. "You never know what is going to come through the door next!" "My aim is to help people care for their animals the best way they can, to inform and empower people about what is going on with their pet". A slight bent for small animal surgery with orthopedics a favourite: from plating and pinning legs and wings to the standard cruciate and patella surgeries. Emma is also one of the vets used by the Hepburn Wildlife Shelter. Ming, Lexie and Aster the three Devon Rex cats that try to maintain chaos by using the house as the Thunder Dome! And finally; 6 horses and 2 sheep. Michelle grew up on a hobby farm in the northwest of England. Her family emigrated to Western Australia once she finished high school. There she completed her veterinary degree and graduated from Murdoch University in 2002. 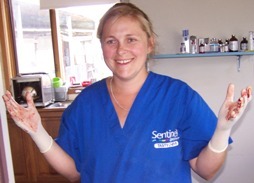 Since graduation Michelle has worked in central Victoria caring for pet and farm animals. "I've really enjoyed the mixed bag of challenges that country practice throws at you. 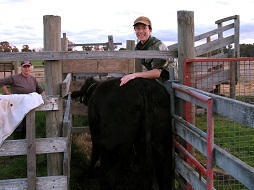 It's been a great way to learn new and diverse skills and meet many interesting animals and their owners." Michelle is currently on maternity leave with her second child. She misses life as a vet but hopes to to return to Hepburn Vet Clinic part-time in the future. For now she happily settles for the companionship of her family that includes one naughty Doberman cross called Ellie and one smelly cat called Spencer. Michelle loves the outdoors, is a keen mountain biker and has the pleasure of riding Bailey the palomino Quarter Horse. Michelle is accredited to conduct pre-export examination and treatment of cats and dogs destined overseas. Shelley also has two older children and two furry children: Zoe a gold Cocker Spaniel and Scar a tortiseshell DSH and one not so furry budgie named 'Bob'. 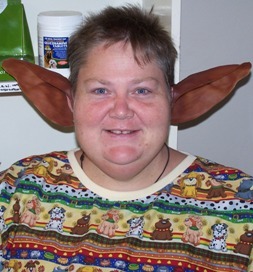 Shelley recently completed her Diploma of Veterinary Nursing (General Practice), which she commenced after she completed her Certificate IV of Veterinary Nursing. 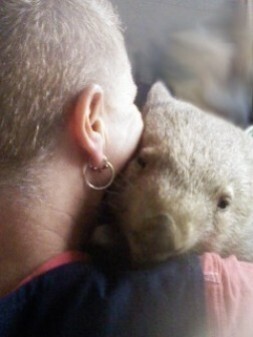 Shelley is also a foster carer for native wildlife and a volunteer firefighter with the CFA. In her spare time (haha) Shelley enjoys Taekwondo, reading a good book and playing soccer. Lauron first began volunteering at the clinic in early 2010 to fulfil requirements of the Certificate II in Animal studies that she was studying and became an employee in July 2010 when a position became available. Lauron has completed he Certificate II in Animal Studies and has now also completed her Certificate IV of Veterinary Nursing. Lauron is a mother of one human child, is expecting her second early next year and also has a kitten called Niblet and a number of chickens. Lauron is particularly interested in large animals and when she is not at work enjoys playing soccer for the Castlemaine Womens team. Pauline began working at the clinic as a casual Vet Nurse in 2008 when Shelley took maternity leave and now continues on in this role, filling in when other staff are having holidays or attending training. Weekend emergencies are generally attended by Pauline when Emma requires assistance! Pauline has been involved in wildlife care as a shelter operator for over 15 years and therefore has extensive experience in animal rearing and husbandry. Currently Pauline is learning horsemanship skills and riding with her 3 horses.